Community currencies, and mutual credit clearing exchanges are key elements in the emergence of a new economic paradigm. These approaches to enabling the exchange of value are not entirely new, they have a long and varied history, but their enormous potential and possibilities have become widely recognized only within the past three or four decades. This is largely the result of increasing disillusionment with conventional money and banking systems, the emergence of Bitcoin and other non-governmental, non-bank currencies, and the growing interest in decentralized, peer-to-peer approaches in all realms of human activity. On the other hand, the plethora of local and community currencies that have popped-up all over the world have not been so encouraging. The avowed purpose of local currencies has generally been to keep money circulating locally instead of “leaking out” of the community. It is hoped that by keeping exchange media circulating within the local community, the vitality of the local economy will be enhanced and local businesses will be better able to compete with large global corporations and merchandising chains. That is well and good, but it misses the main point of what ails our communities, and our world. It is the very nature of the dominant political money system that is problematic. So, localization is not the end in itself, but the necessary means to an end, which is personal re-empowerment and freedom; community resilience, sustainability, and self-determination; and the revitalization of democratic governance. Community currencies and exchange systems provide an essential tool kit for achieving those goals but they need to be designed in such a way as to make people less dependent upon political money and banks. So long as we remain harnessed to the dominant money and banking regime, there will be little chance of significant improvement in the human condition, in fact, the trend has been exactly opposite. The many local currency experiments that have been tried in various places around the world in recent decades have achieved some worthwhile results in terms of educating the public and planting seeds of possibility but, hardly any of them has achieved the desired results of making their communities stronger and more resilient. Why? There are many reasons, but the most important are the basis upon which the currency is issued and the way in which it is placed into circulation. These are the design elements that determine whether or not a currency will be sound, credible, effective and scalable. Every currency is a credit instrument, an obligation of the issuer, and its “basis of issue” is whatever it promises to give to the holder when the issuer accepts it back, i.e., when the issuer “redeems” it. Up to now, virtually all of the community currencies that have been tried have followed the “convertible local currency” (CLC) model. These currencies are “cash based,” i.e., they are issued on the basis of conventional money. Typically, they are sold for official money and can then be redeemed back into official money. Currencies like the Bristol Pound and Brixton Pound in the UK, Toronto Dollars and Salt Spring Island Dollars in Canada, and Berkshares in the US are all based on this model. Each of these has garnered some community support and a great deal of attention by mainstream media, but none has been very effective in achieving the desired objectives of enhancing community resilience and local self-reliance. The support of local governments is important in gaining broad acceptance of the currency, and the administrative services provided by local banks or credit unions adds credibility and convenience, but these are not sufficient in themselves to make a currency effective and scalable. Are we to conclude, therefore, that the community currency approach to localization is a dead end? Far from it. The burning questions then are, why is the CLC model not effective, and how can a local currency be designed to achieve the desired results? Selling a currency for cash, as CLCs do, does not create any additional liquidity (payment media) for the community, it merely exchanges official money for a voucher currency that has limited usefulness. It amounts to a prepayment for the goods and services offered by whichever local merchants agree to accept it. If you think a bit about it, it becomes evident that such currencies that are sold into circulation bear a strong resemblance to the gift certificates or gift cards that are sold by myriad retail companies all over the world—companies like Target, J. C. Penney, Marks and Spencer, T.J. Maxx, and Amazon.com, just to name a few. However in those cases, redemption back into official currency is not allowed. Those gift cards are redeemable only for the goods and services that the issuing company offers for sale. Why, then, is it considered necessary for community currencies to be redeemable back into cash? Doesn’t that defeat their intended purpose of keeping money circulating locally? How many transactions will a local currency enable before a holder will cash it in? The CLC model leaves the control of credit and the creation of exchange media in the hands of the banking establishment and leaves communities to flounder in the sea of globalized and corporatized rent-seeking and power concentration. In their weakened and subservient condition, communities are poorly situated to influence government policies or to challenge established institutions, as the authors of that study suggest. Consequently, individuals and communities must first find ways of empowering themselves. The best way of achieving that is by decentralizing and democratizing the control of credit and using it as a basis for creating independent exchange mechanisms. The main argument that is given for making a community currency redeemable for dollars, pounds or other conventional currency, is that redeemability in cash is necessary to make the currency acceptable to the local merchants. But is it? Why do Target and other retailers’ enjoy significant demand for their gift cards, even though those gift cards cannot be redeemed back into cash? The answer is that people have faith that Target is ready, willing, and able to redeem its gift card obligations for a wide range of merchandise and services that people need and want. It would be a small step for merchant gift card balances to become private currencies. It would only be necessary for the gift card issuer to provide a convenient means for gift card balances to be transferred from one account or device to another. However, since gift card credits, like CLCs, are sold for cash, they still fall short of achieving the desired objectives of providing communities with an independent source of liquidity, even if issued by a local company instead of a national or global corporate chain. A currency to be sound, credible, effective and scalable does not need to be redeemable for conventional money, the issuer needs only to provide credible assurance that it can be readily redeemed for some goods or services that are in general demand. Private or community currencies that are SPENT into circulation by trusted issuers, like utility companies, goods producers, or municipal governments, have much greater potential for promoting local community prosperity, resilience, and self-determination because they allow a community to monetize the value that is created and sold by local businesses and professionals. The internal “trade credits” provided to members of mutual credit clearing associations, like the scores of commercial “barter” exchanges that operate around the world, do the same. Such home-grown sources of liquidity enable a community to greatly reduce its dependence upon official money and bank borrowing, and automatically favor local production and local sourcing of goods and services (import substitution). Consider a local electric utility company (or water company) that provides electricity (or water) to customers throughout the local region. The company typically receives periodic payments for its services from its customers in the form of conventional money. The company also has expenses that it incurs in the process of providing its services. Money goes out and money comes in as a more or less continuous stream. Now suppose the company were to pay some of its expenses, not in conventional money, but in the form of its own currency vouchers which it promises to accept back at face value from is customers when they pay their bill. If the utility company is solvent, is there any doubt that the local merchants, and everyone else in the community, would be willing to accept significant amounts of the local currency as payment, instead of official money? If you have an electric bill (or water bill) to pay, why would you not be willing to accept electric company vouchers in payment when you sell your own services or goods? And even if you do not yourself have a utility bill to pay, so many others in the community do, so there should be no doubt that you can spend the currency onward at many other places of business. A currency that is created locally, that must also be redeemed for local goods and services will automatically circulate locally. Here the word “create” does not mean exchanging pounds, dollars or some other official currency for a local currency, but issuing local currency on the basis of goods and services that are produced and sold within the community. This is the process called “monetization” of value. Such currencies originate and end up in the community. Even if they should temporarily leave the community, they must ultimately return if the holder wishes to get the value that the currencies promise, which must come from the original local issuer. Recognizing that the conventional exchange medium (money) is created by banks when they make loans, it becomes apparent that money is but a virtual representation of the value which the “borrower’ has pledged in support of his “loan,” be that business assets like goods inventories, or collateral assets, like real estate. [iii] But economic power is ultimately in the hands of producers who create real value and put it on the market, so what is there to stop producers from creating exchange media (credits and currencies) directly, without involving banks or paying interest? Call them vouchers, credits, certificates or coupons, sound private and community currencies can be SPENT (issued) into circulation by a trusted producer or reseller who is ready, willing and able to accept it back (redeem it) as payment for real value, i.e., the desired goods or services that are their normal stock in trade. This is not a complicated process. The animated video, The Essence of Money,[iv] provides a clear example of how it works. Private currencies that are SPENT into circulation by trusted producers, and mutual credit clearing exchanges, have a much greater potential for promoting local community prosperity, resilience, and self-determination because they allow a community to monetize the local value created and sold by local businesses and professionals. That allows a community to greatly reduce its dependence upon official money and bank borrowing, and automatically favors local production and local sourcing (import substitution). My Solar Dollar white paper (https://beyondmoney.net/2016/08/26/solar-dollars-a-private-currency-with-multiple-benefits/) provides a concise description of how a currency based on renewable energy can be issued and circulated. Of course, the basis of issue of a currency need not be limited to solar power or other renewable energy, it could be any desired goods and services that are produced and sold locally by a trusted issuer. [i] See my posts on Credit Clearing, Pure and Simple, and Sardex, an emerging model for credit clearing exchanges. [ii] The Bristol Pound: A Tool for Localisation? http://www.sciencedirect.com/science/article/pii/S0921800917304287?showall%3Dtrue%26via%3Dihub. proceeds of loans made by the banks are credited to borrowers’ accounts. 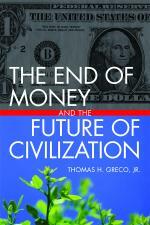 whatever amounts the holders of deposits want to convert into currency.” Modern Money Mechanics. Federal Reserve Bank of Chicago. [iv] The Essence of Money – a Medieval Tale, https://youtu.be/uO7uwCpcau8. Thank you for the article! Perhaps you can also help me clarify some thoughts I have on how to implement such currencies that are based on mutual credit and credit clearing arrangements. Isn’t it the case that they are much more dependent on building trust than in the case of CLCs, in which merchants can more easily trust to redeem their money back whenever they need it? And if so, how to overcome this barrier of trusting issuers, if they are numerous and not actually having the market power of providing a good or service that is widely demanded in the community? Have you ever considered a system that starts with a CLC and gradually transitions into a mutual credit system? Or maybe there is already a real-life example of that? Btw, I still got your book that you signed for me at an event in a eco-village in Ireland in 2015. 🙂 Let me know when you’re coming to Sweden and we’ll try to arrange a presentation here in Gothenburg! You need to think in terms of established businesses. They trust one another by providing goods or services then allowing some time in which to pay. We all continually make judgements about whom to trust and to what extent. Commercial trade exchanges have had a great deal of success in persuading business members to participate in trading circles that do not use money. I hadn’t really considered services or goods as a foundation for currencies, I suppose timebanks are really based on services. I became interested in local currencies after reading about the worgl experiment. I noted that the worgl currency was used for payment for town services, but paid 50% worgl and 50% state currency, making it more palatable. Devaluation discouraged saving and encouraged spending. The natural economic order written by Silvio Gesell (which worgl was based upon) gives a unique insight to the function of money. I am sure one day we will have the perfect medium of exchange, I just wonder if we will invent it, or will artificial intelligence Invent it? Since a currency is a credit instrument, a promise to deliver value, any value (goods, services, tax receipts) can serve as a foundation or basis of issue. Gesell is good but you E.C. Riegel had even clearer insights about the nature of money, its creation and circulation. His writings are free to download at my other website, https://reinventingmoney.com/library/. You can find more background on the Worgl currency there, too: https://reinventingmoney.com/worgl/. Nothing is perfect, but near-perfect exchange media have already been invented. Read my books. I had similar thoughts about the CLC model, it does not keep money in the local economy. I proposed a system whereby local authorities issue electronic credit for local services & goods they purchase, these credits could then circulate and be used by local businesses to pay local taxes. I saw it as a complementary currency that would allow busineses to continue making transactions even when the bank created money supply was low. Obviously this electronic credit would be useless to most corporate entities, so small businesses would benefit the most. Nice too see others thinking outside the box. Well done & well written.